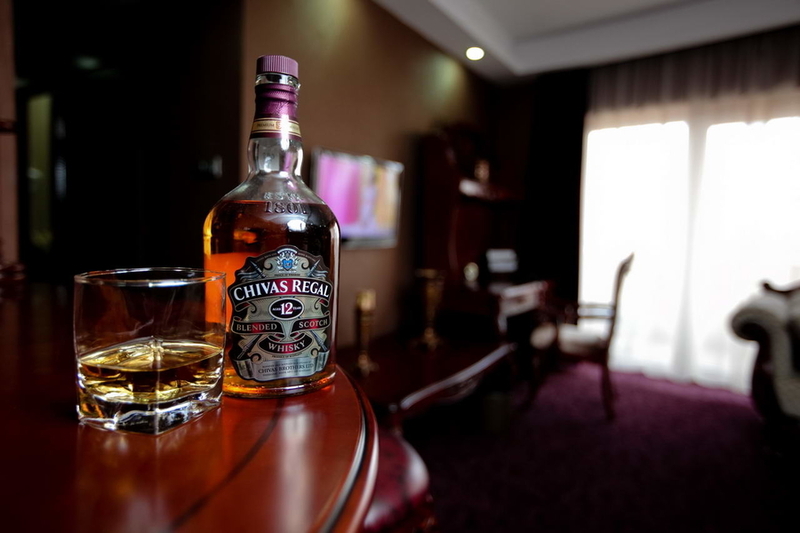 For the comfort and convenience of our guests, the rooms are equipped with mini bar, LED TV, hair dryer, bathroom toiletries, bathrobe and clock. 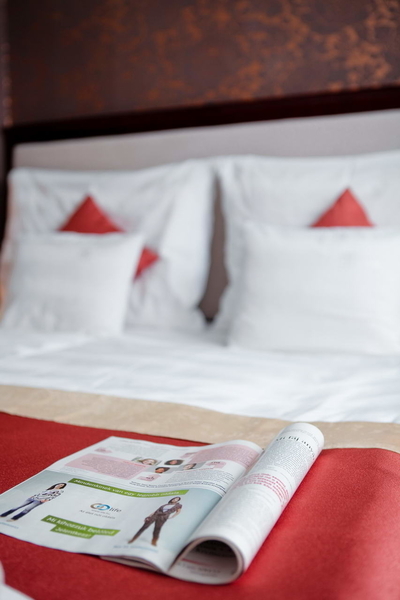 Our hotel boasts two special rooms that ensure barrier-free accessibility for guests with disabilities. Smoking is forbidden in all our rooms. 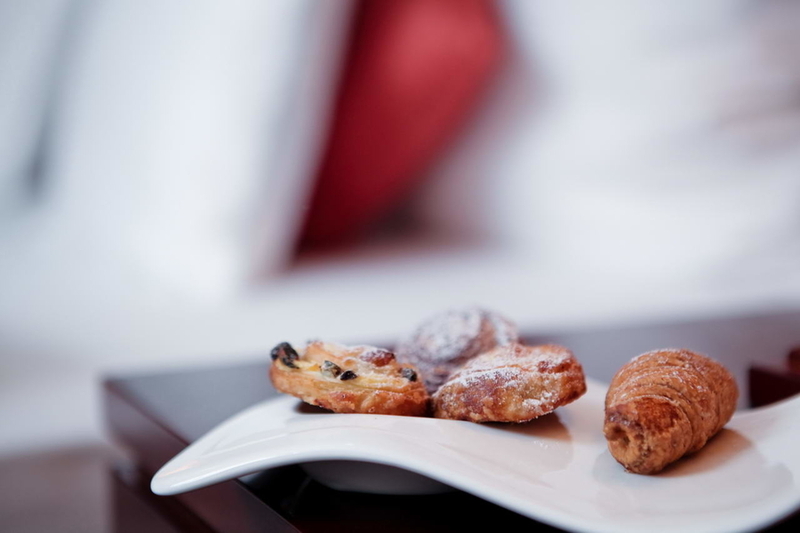 Standard rooms are located on each floor of our wellness hotel. These rooms with French windows have an average floor space of 22 m2 and are fitted out with bathtubs and bidets. There are 2 or 3 separate beds in a Standard room. 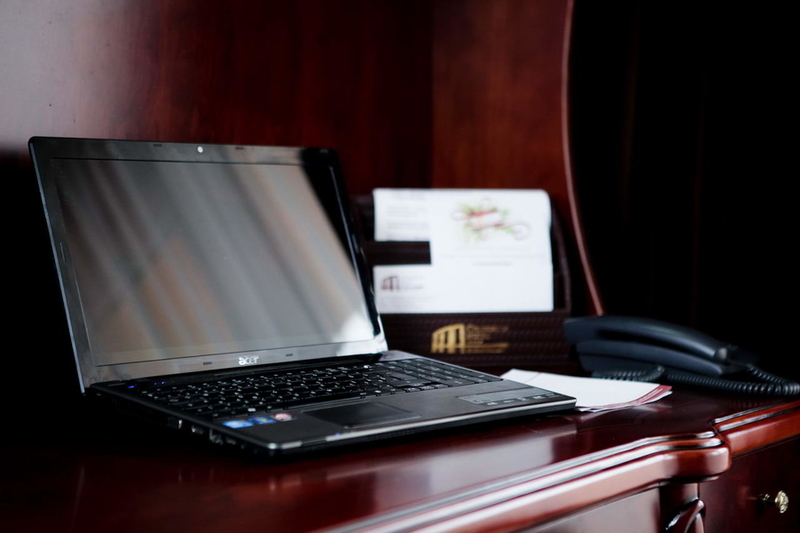 For the comfort and convenience of our guests, we provide a safe deposit box, a state-of-the-art digital TV, WiFi and a mini bar. 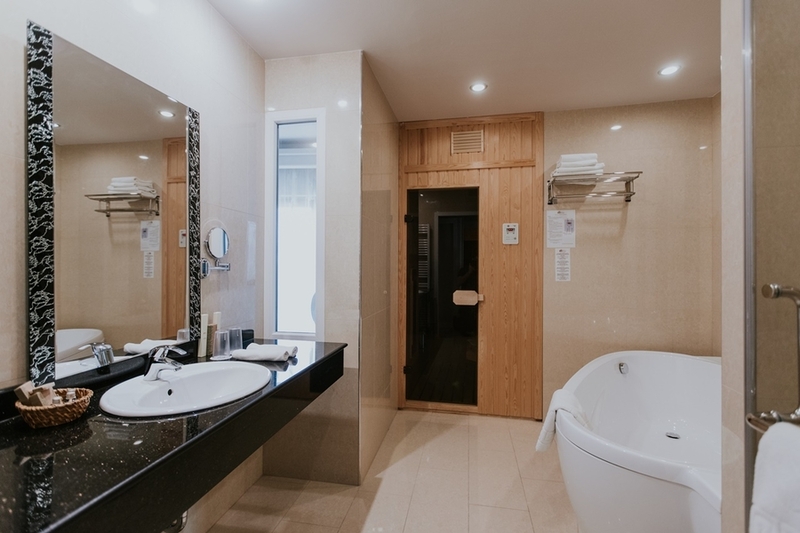 Bathrooms with tubs are fitted out with toiletries, hairdryer and bathrobe. 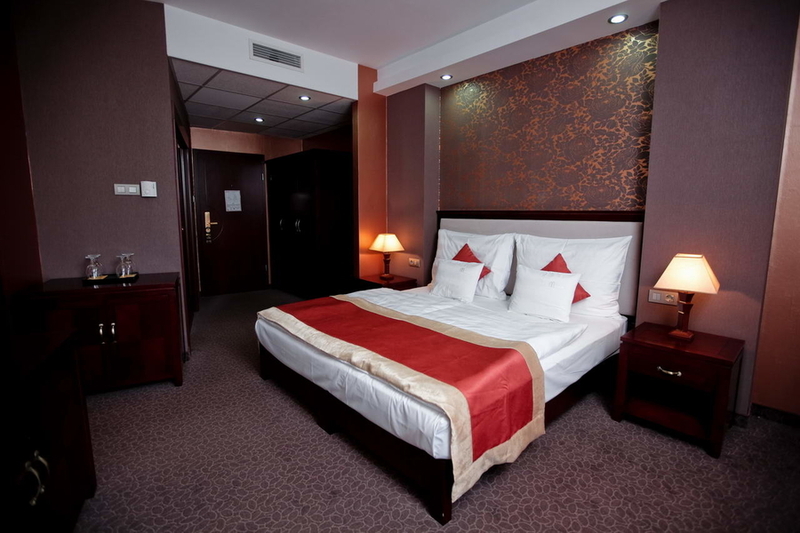 Superior rooms, each with a double bed, are distributed on all floors of our hotel. They are all furnished with a sofa, armchairs and a coffee table. Some of them have balconies as well. For the comfort of our guest each of the Superior rooms are equipped with a safe deposit box, a digital TV, WiFi and a mini bar. 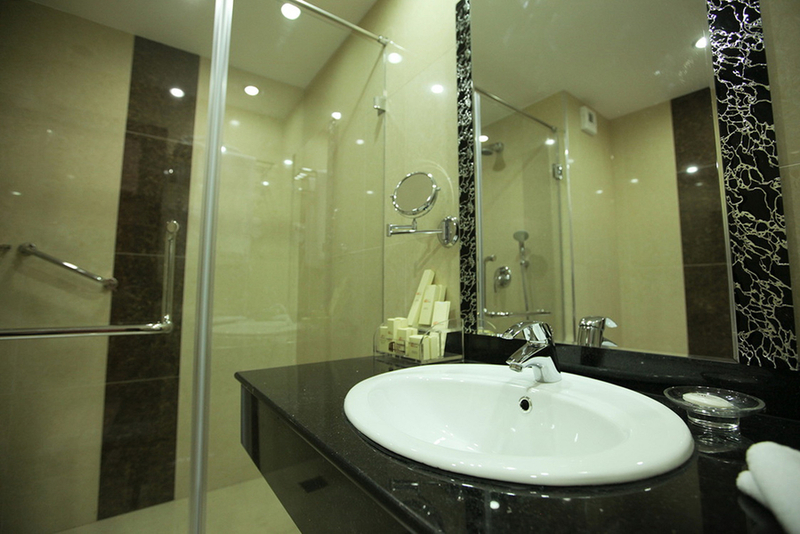 All bathrooms are equipped with shower where we complement our guests with toiletries, hairdryer and bath robes. 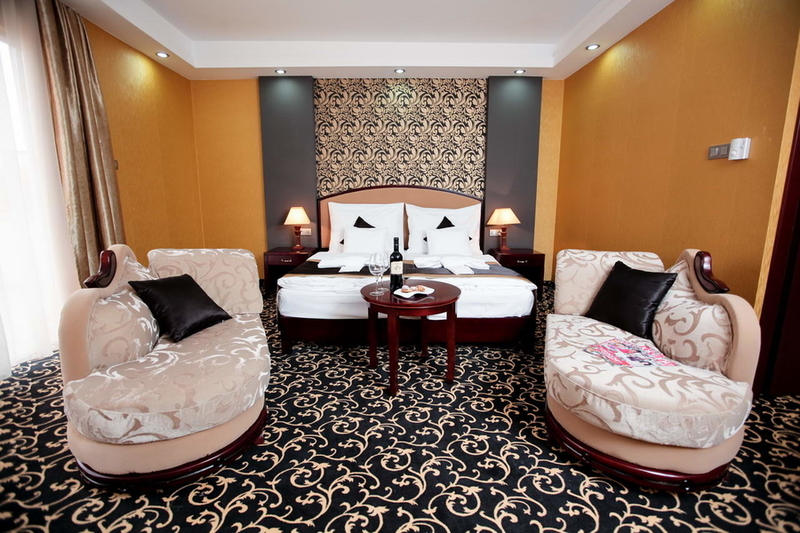 Deluxe rooms furnished with double beds are found on each floor of our hotel. 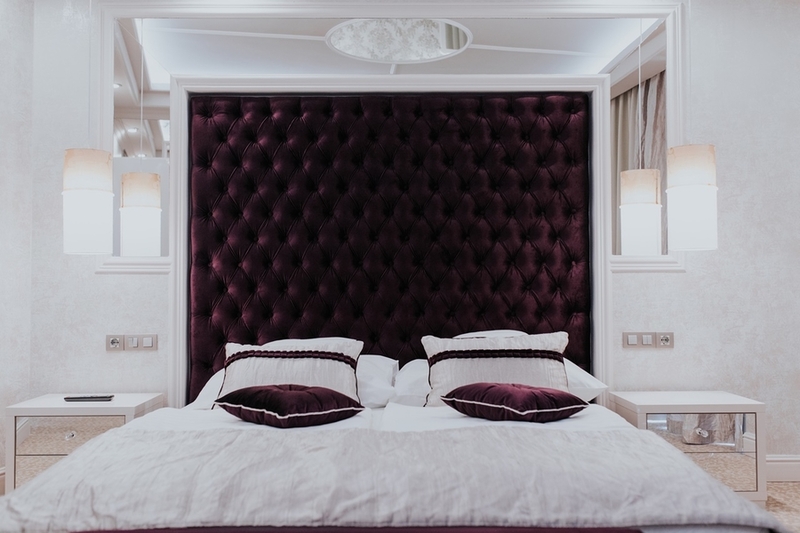 Besides the comfortable double beds, each of them is fitted out with special furniture, two sofas, armchairs and a coffee table. Some of them boast a balcony as well. 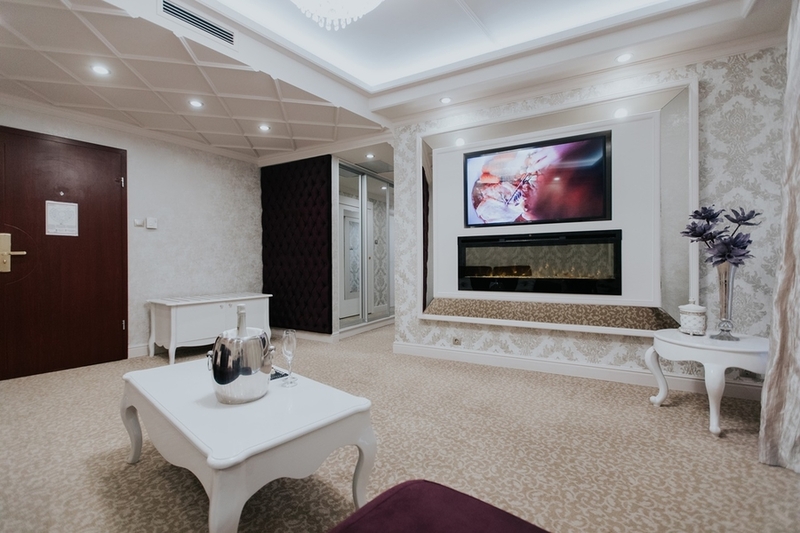 To enhance the comfort and convenience of our guests, these rooms are equipped with a safe deposit box, a sophisticated digital TV, WiFi and a mini bar. 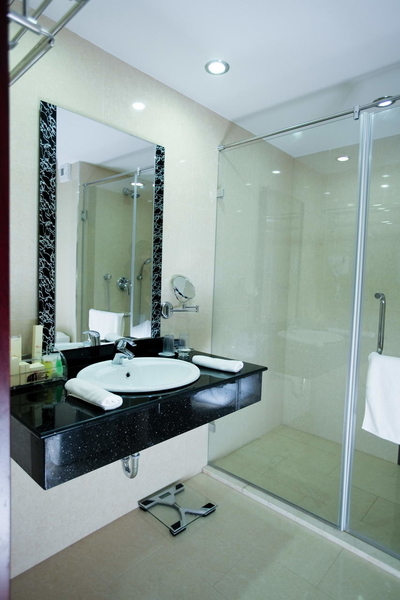 The bathrooms with shower are supplied with toiletries, hair drier and bathrobes. 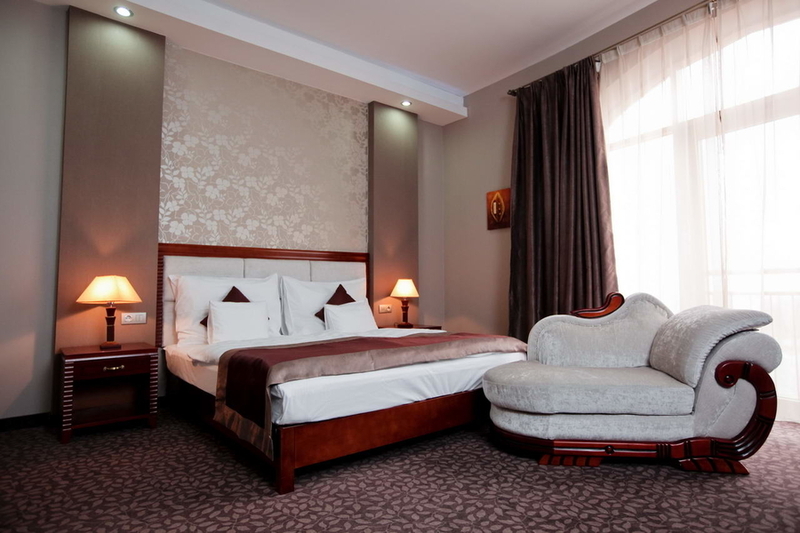 Family rooms are located on the first floor of our wellness hotel. They consist of two interconnecting rooms and have separate entrances. One room has an en-suite bathroom with a bathtub, while the other one is equipped with a shower. 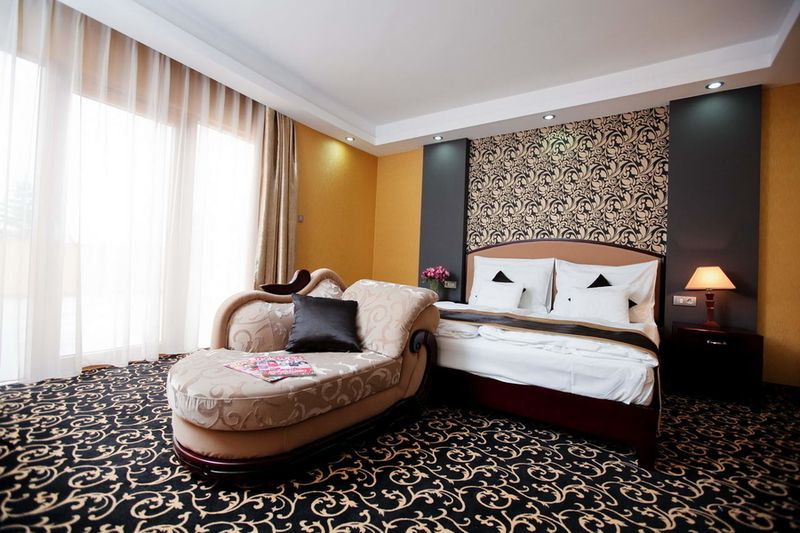 Each of the rooms can accommodate 2 persons. 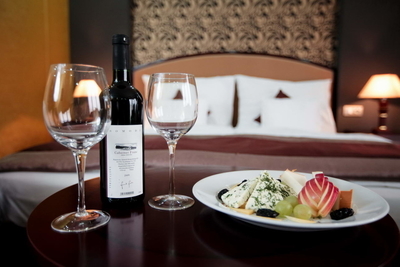 The amenities of each room include a safe deposit box, a state-of-the-art digital TV, WiFi and a mini bar. The bathrooms are stocked with toiletries, hair drier and bathrobes. The Family Connecting rooms windows are overlooking to a closed atrium. We can solve the air ventilation with opening the side windows of the atrium. 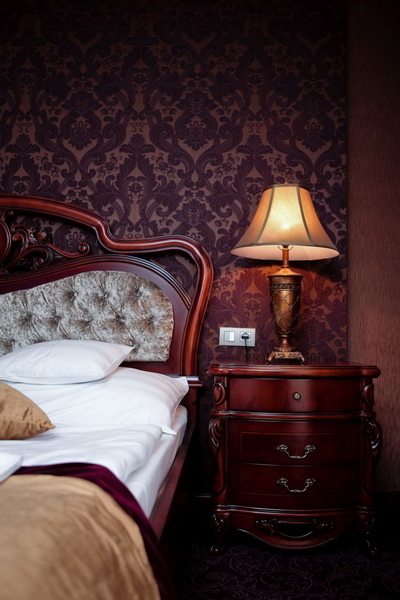 In the rooms the heating and cooling is performed by fan coils, which can be controlled by the room thermostat. Our hotel boasts two family suites on the ground floor close to the reception, Kids’ playing zone and the wellness section. 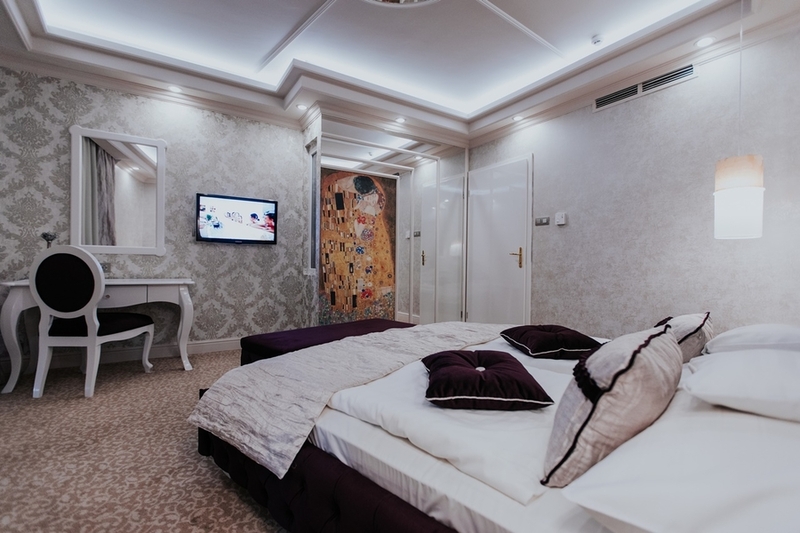 With its connecting rooms, 1 entrance and a 15 m2 balcony, the suite provides safe and comfortable accommodation for guests with children. 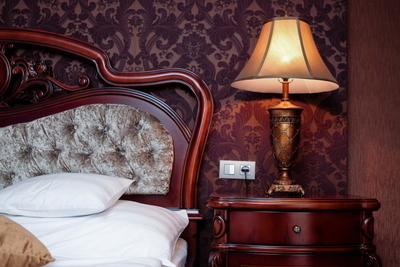 One room is furnished with a double, while the other with twin beds. 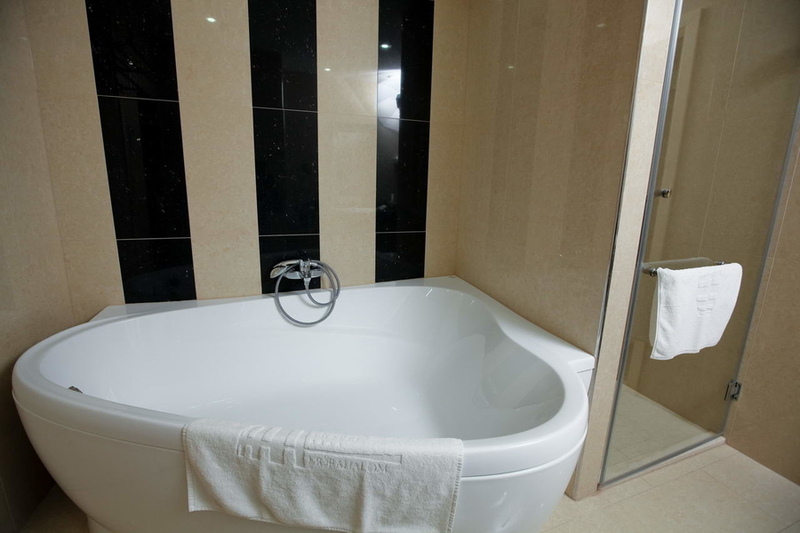 Amenities of the suite with 38 m2 floor space include a safe deposit box, a hi-tech LED TV, WiFi and a mini bar, while the bathroom has a shower cabin and a corner tub as well. 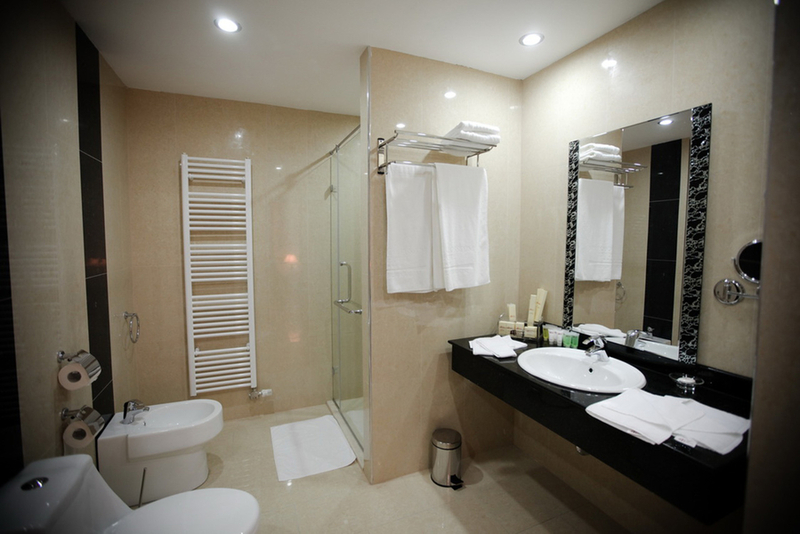 Our guests find toiletries, hair drier and bathrobes in the bathroom. 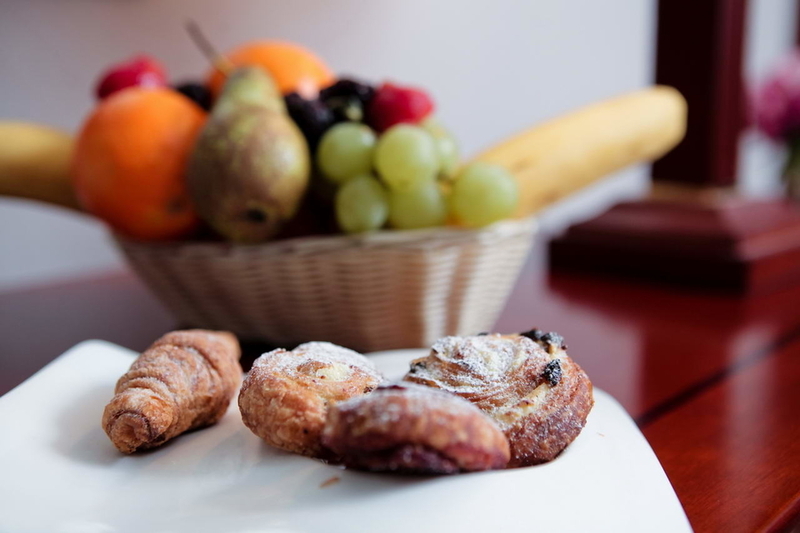 Our hotel has two special non-smoking rooms on the ground floor which are designed to ensure full accessibility for guests with reduced mobility. Each of the rooms has a 27 m2 floor space and a 15 m2 patio. The rooms are equipped with safe deposit boxes, hair dryers, hi-tech digital TVs, WiFi and mini bars. Our guests find toiletries and bathrobes in the bathroom. 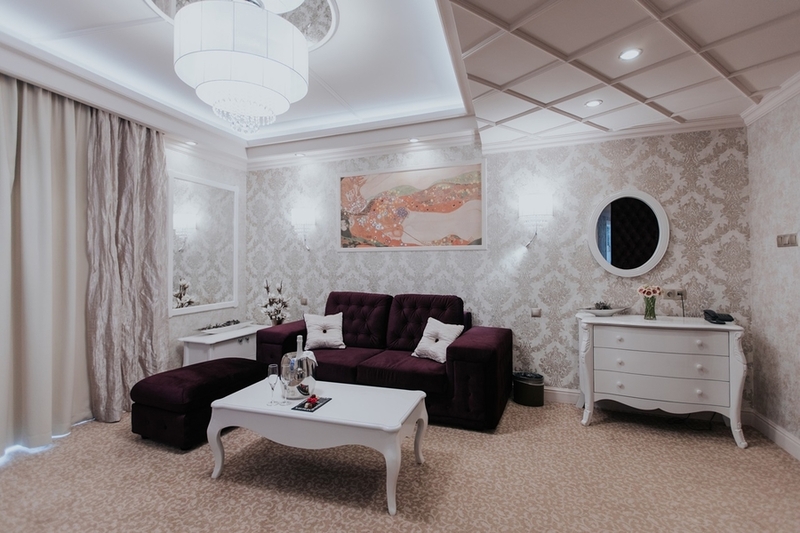 The proximity of these rooms to Reception guarantees that we can take good care of and help our guests promptly in order that they can have a nice stay at our hotel. 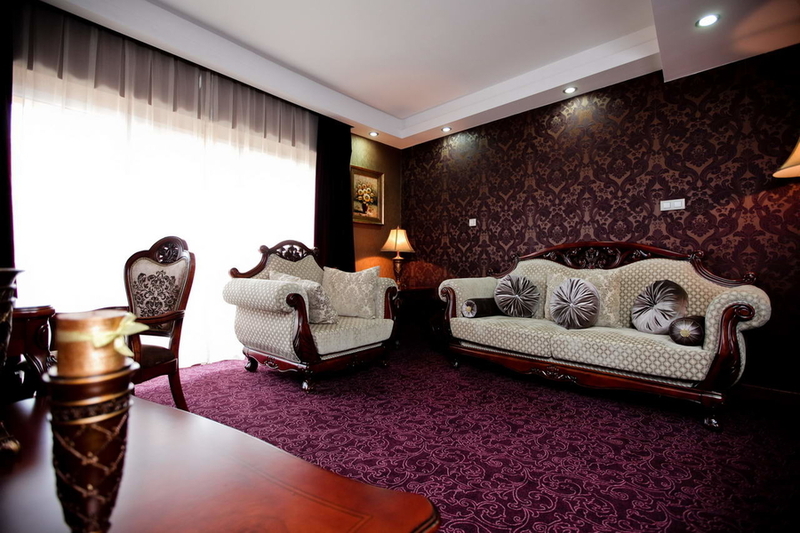 The Presidential suite is situated on the third floor of our wellness hotel. The living room, boasting exclusive furniture, is furnished with a sofa and armchairs. The bathroom is fitted with a tub and infrared sauna to ensure that our guests can enjoy our spa services in the privacy of their own suite. 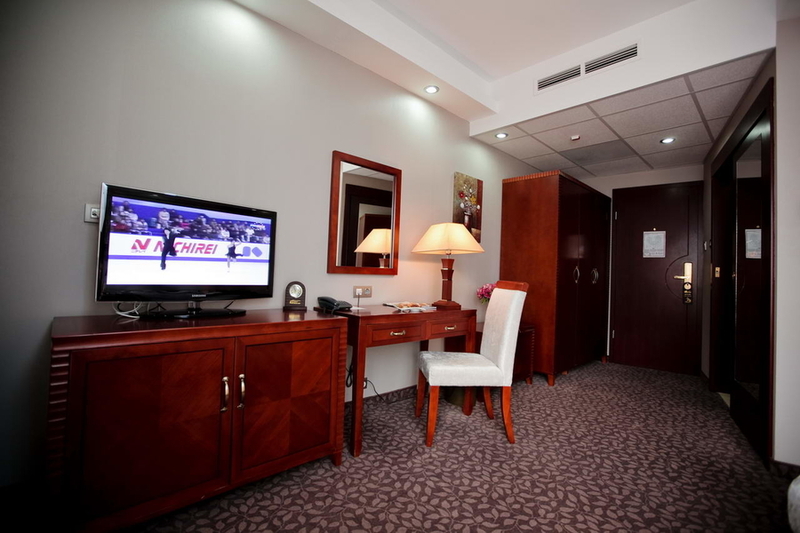 For our guests’ comfort and convenience, the suites are equipped with a safe deposit box, state-of-the-art digital TV, WiFi and mini bar. 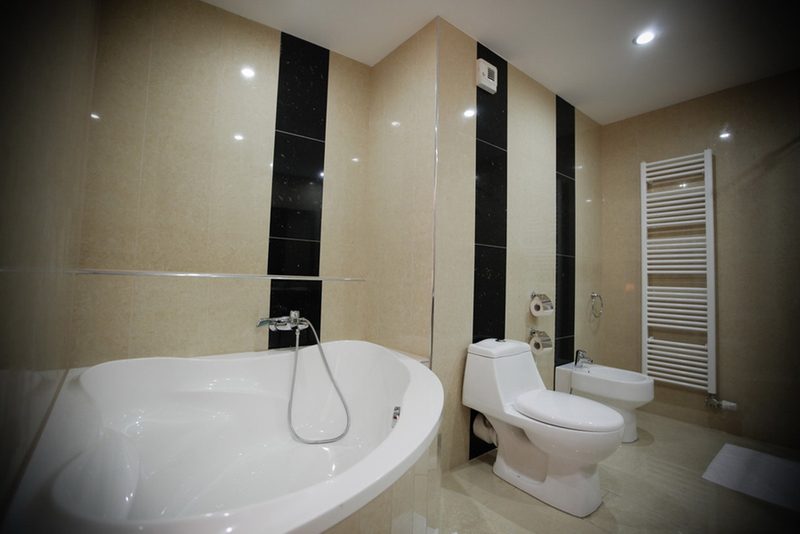 We provide toiletries, hairdryer and bathrobes in the bathroom. You can come across such a charming and mesmerizing suite only in your dreams. Hotel Colosseum makes such dreams come true. 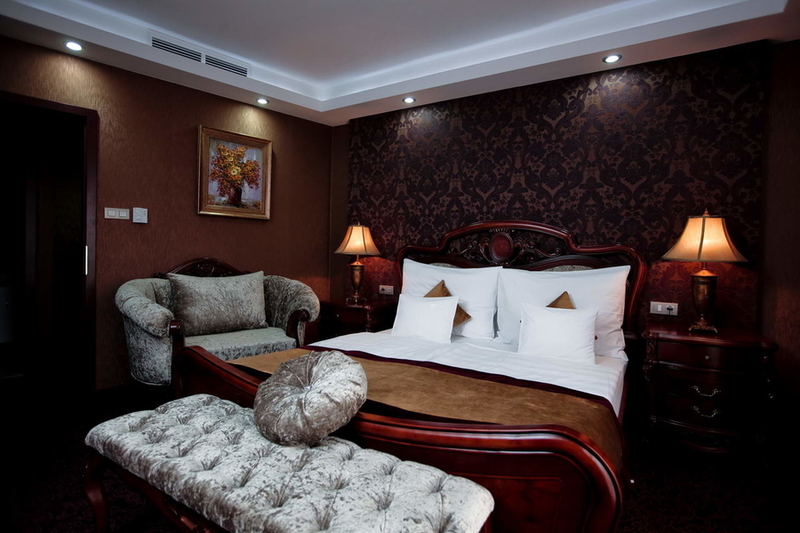 The lavishly furnished second floor suite boasts an impressive living room and a separate bedroom. 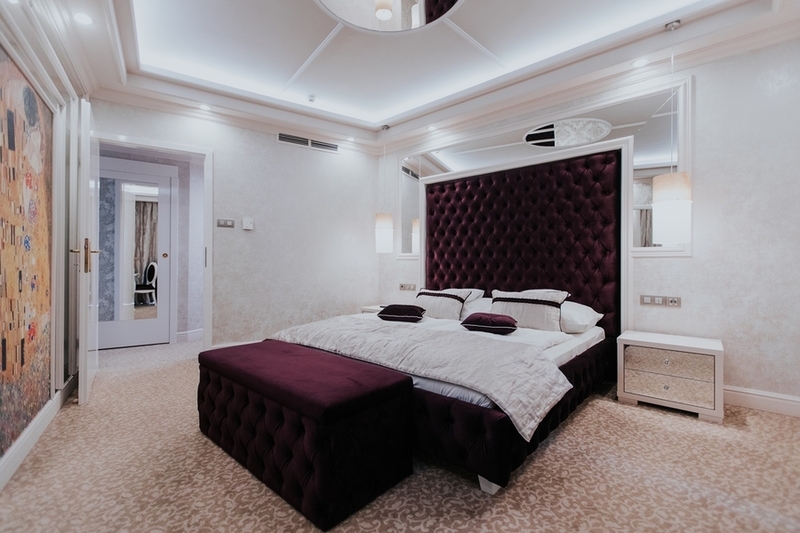 The bedroom is furnished with a king-size round bed, while the bathroom is fitted out with a luxury round effervescent air tub and a stand-alone sauna system to ensure that honeymooners could enjoy spa services in intimate atmosphere. 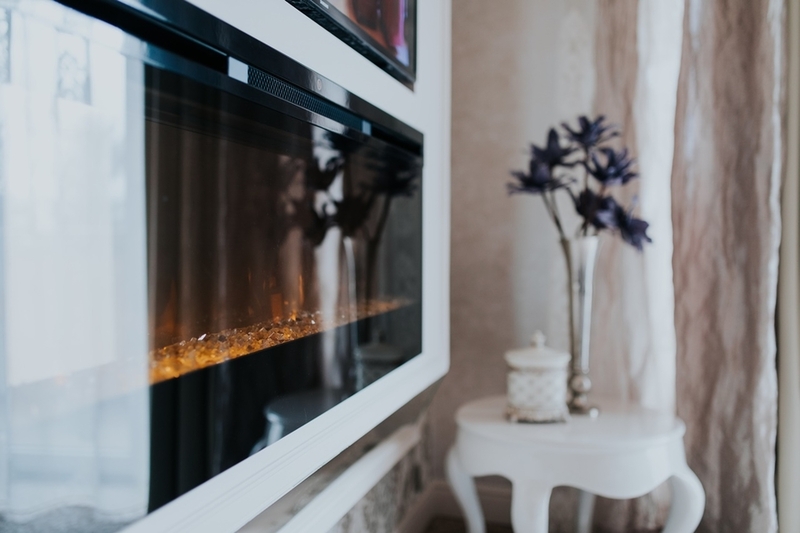 For the comfort and convenience of our guests, the amenities of the suite include a safe deposit box, a most up-to-date TV, WiFi and mini bar. The bathroom is stocked with toiletries, hairdryer and bathrobes.